The reason why I said it was because people over time have tried to show that privatization is a dirty word. It is not. If you have liabilities bigger than the assets you have, you are actually better off by getting rid of it since it is the public that has to fund this to keep it running. Those who are responsible for creating the liabilities have to take it which is why I said. Sri Lanka’s Deputy Minister of Public Enterprise Development, Eran Wickramaratne last week said the island’s State Owned Enterprises (SOEs) have been given a new lease of life after the new government assumed office and vowed that they would now be managed more efficiently under his Ministry’s watch thus maximizing public benefit. Q: The Ministry of Public Enterprise Development was a creation of the recently established consensual government. Could you explain the progress made after you took over as the Deputy Minister three months ago? First let me explain to you why this new Ministry has been created. It has been created because the government is involved in many commercial ventures which need to be better managed. There are loss-making ventures that need to be turned around through efficiency. The flip side of it is the political interference in the system. So by putting a lot of ventures together, I guess that’s the intention. The way we have gone about is to let the companies manage their day-to-day operations, where they have their Director Board and senior management to set out the policy, and we have the monitoring to do. The basket of ventures under this Ministry varies tremendously. From financial industry where you have the state banks and insurance corporation, you have airlines, plantation companies, hotels, manufacturing, engineering etc. So since you have a wide array, you don’t have a ‘one size fits all’ solution. So we are looking at each cluster and company separately because the strategic plan from one to the other will differ. The issues in common are like the management skills where some of them need international exposure depending on the type of product sold. Some need technology whereas some others need capital. Either the government has to provide the capital through the Budget or else we will have to work out ways and means to find the capital. That’s broadly speaking our task. Q: On the management of SOEs, the Budget 2016 had proposed to bring them under a Government-owned holding company formed similar to that of the Temasek Holdings of Singapore. Could you update the progress made on this? The intention is that government holdings in commercial ventures be better managed as investments. Take Temasek model in Singapore or Khazanah in Malaysia and various other countries treating government institutions as investments. So the thinking is that Sri Lanka also needs one of those. We are presently studying the models and trying to see what relevance it has to us and take the lessons out of it. We intend to do a more detailed study in January and we will look at the two models in detail. Not just investment companies, where Khazanah and Temasek are, but we are also looking at the broader picture of the public enterprise reform. It will be a homegrown model. We will not have to reinvent the wheel but we will have to look at what is appropriate for us to do. Q: Although the President on an earlier occasion pledged that appointments to SOEs will be depoliticized and in future scrutinized by a competent committee, we haven’t seen that system put into practice. Why? What has been the standard practice for appointment to Boards has been that subject Ministers appoint them. The practice has come under criticism over time because people are not appointed with the required education and also the fact they appointed friends and relations. However, to be fair by the new government, I would say that there has been a sea change in terms of appointments. There have been some situations in which principles have been breached with appointments of relatives or unsuitable people. What I need to point out is, it is not the ‘relative’ that is the problem; ‘the conflict of interest’ is the problem. For example I have a competent brother and he can be appointed. But the conflict of interest is I must not appoint him or they must not appoint him in an area in which I am the Minister! That is the conflict of interest. Sri Lanka is a very connected society and there are competent people. It is not to stop them from being appointed. So I would say that conflict of interest principle needs to be adopted to improve. The other thing we need to do, is to formalize their appointments, where nominations could come in from anywhere, but first of all it should be subjected to a fit and proper test. Secondly, whether they have the educational qualifications and skills and thirdly, whether they have the requisite experience to hold those positions. Laying down a process is for the benefit of the country. Q: When would that new system you speak of implemented? Probably not immediately because appointments have already been made. Our major tasks are turning to other things like reforms for the economy and reconciliation. Our programme is to be completed in five years and we are now only four months old. So we have to prioritize what we are doing and we are doing that. I think within the period of our government, lot of pledges would be fulfilled. Q: Out of the institutions falling under your Ministry, the two crucial ones are the two airlines which have been bleeding badly over the last few years. How do you plan to turn them around? SriLankan Airlines has taken some measures internally to put right some of the issues pertaining to internal management and operational issues. They have made some progress. There are other areas which need intervention from outside the airline. I admit that progress had been slow there. 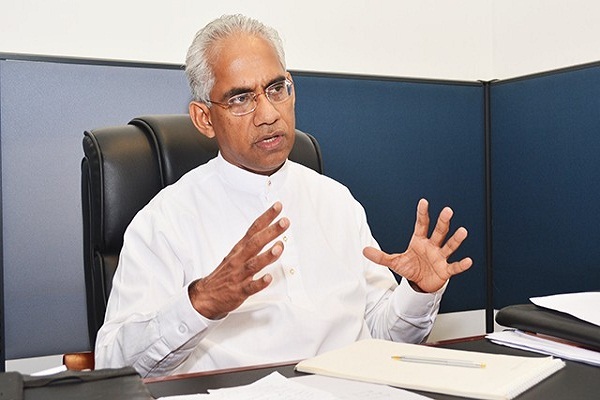 Q: As far as SriLankan Airlines is concerned, a host of revelations and recommendations were submitted by the Weliamuna Committee report presented to the government in April last year. As far as implementation is concerned, what has happened? Lots of what the Weliamuna Committee report is dealing with is in the past. And clearly what has been wrong has to be put right. And for violations, people involved have to face the consequences. But what we as the Ministry have been focusing on is the present and the future. The airline has suffered Rs. 128 bn losses as of March 2015, but 2015 losses are reducing and going to be a much better year comparatively. The reason is because fuel prices have gone down and there have been some internal cost efficiencies that the management has been able to get. So the question then is, is it fair for us to run an airline where the taxpayer has to foot the bill? Most of the taxpayers are not even going to use or fly on this airline for their lifetime. So everybody will agree it is not fair. There are some issues with the business models, the Board of the airline has been paying attention to this for the last six months and the question now is which strategic option we implement. I would say that no finality on this has been reached. Q: Are there plans to privatize Mihin Lanka given that you had said in Parliament that you are ready to even sell it off for a Rupee to the Former President? No! The reason why I said it was because people over time have tried to show that privatization is a dirty word. It is not. If you have liabilities bigger than the assets you have, you are actually better off by getting rid of it since it is the public that has to fund this to keep it running. Those who are responsible for creating the liabilities have to take it which is why I said. Q: How do you plan to manage the remaining SOEs? Other SOEs that come under the purview of this Ministry are, for example, in the banking sector. These state banks have been performing reasonably well and they could do better. The ownership of these banks will not change. The state banks have healthily competed with the private banks and we hope to continue to do so. Then we have also smaller banking entities which are not doing very well and as outlined in the Budget we will look at consolidating some of them.